Click on any photo below for a larger image. To listen to this specific episode CLICK HERE. Join us, as Nathan of Kansas City, makes the trip to LaPlata, Mo., to partake in the celebration of ringing in New Years 2010 and to broadcast live, the Dedication Ceremony of the Silver Rails Memorial Library, including the dedication of creator of the "Let's Talk Trains" show, Richard Hamilton, and three other prominent people who were heavily involved in educating the rail community, and all had significant involvement in rail related events in La Plata. Please join us! Putting up blankets to kill the echo in preparation for the Let's Talk Trains Web Radio Show. Nathan and Chris getting ready for the show. Richard was born to Royce Leon Hamilton and Ernestine Owens Hamilton in Oakland, California on June 29, 1949. Ernestine left the family when Richard was 3 years old and Richard was boarded out to foster care for most of his childhood. In high school he was placed with Bob and Doris Winchell who included Richard as a member of their family. It was through their love that Richard learned and appreciated what a blessing families are. Richard was a Vietnam Veteran and served in the U.S. Navy from 1967 to 1970. After his military service Richard went to work for Rainbird as an Irrigation Engineer where he continued to work for the next few decades. He always kept a very positive attitude about life and was always the one who quietly supported the "team". 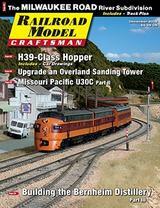 HAM radio and all things technical were among his many interests, but his number one love was anything about trains. Richard reunited with his younger siblings from his father's second marriage in 1983 when he was 34 years old. His siblings said that he was always forgiving and loving despite the injustices handed to him when he was too young to understand. Richard was very involved with the San Diego Electric Railway Association (SDERA.ORG) especially with the National City Depot project having helped in obtaining the lease approval and in getting organized to run the depot. For several years he was a material participant in the staffing and training as well as serving as treasurer. At the Poway Midland Railroad he served as a volunteer Motorman operating the Vintage Trolley. The "San Diegans Club" was created by Richard around 1996 and held monthly gatherings at various stations up and down the line of the Amtrak San Diegans. The Amtrak San Diegans evolved into what is now the Amtrak Pacific Surfliners and the San Diegans Club evolved into the Rail Travel Meetup Group. That group has swelled to over 100 members and continues to meet every month to this day attracting at least 20 to 30 people to every meeting. In 2002 Richard created "Let's Talk Trains", an internet radio talk show all about trains. With Co-Host C.J. Hardman they covered everything from freight to passenger, big steam to model trains, freight business with FRA and AAR guests, to private car operators, short-line operators, photographers, and even union matters with UTU and BLE speakers. Almost ever year Richard would do a live broadcast from the annual Fullerton Railroad Days held in May of each year. Richard and the Let's Talk Trains show were very involved in every aspect of the rail venture in La Plata, traveling to La Plata on several occasions to provide live coverage of events including: TrainWeb.com's 10th Anniversary and the Grand Opening of TrainParty.com's new building, the Grand Opening of the Exhibition of Amtrak History and the Silver Rails Event Center, and Chris Guenzler's Millionth Rail Mile and the Dedication of the Lookout Point to that achievement. Richard even originally planned to do the 7th Anniversary Show of Let's Talk Trains right here in La Plata in July of 2009. Only scheduling conflicts kept that from becoming reality. It is because of Richard's dedication to the rail community and his involvement with the rail ventures in La Plata that he has earned a place in the dedication of this Silver Rails Memorial Library. The creation of the Let's Talk Trains internet talk radio show has been a lasting achievement by Richard and can be heard to this day every Saturday at 10 AM Pacific Time at RailRadio.com/ltt. As C.J. Hardman described Richard, he was a "Railroader's Railfan", a true-to-the-bone practical railfan who was concerned about the future of our nation's railroad infrastructure and passenger rail system. Having just turned 60 years old, Richard died in San Diego, California, on July 31, 2009 and was laid to rest at the Bakersfield Veterans Cemetery on December 4, 2009. 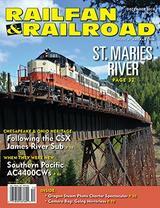 Beginning Collection of Railroad Books and Magazines in the Silver Rails Memorial Library. 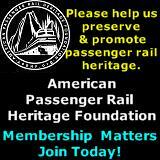 The Silver Rails Memorial Library and the Silver Rails Gallery are part of the American Passenger Rail Heritage Foundation (APRHF.ORG) a 501(c)3 non-profit organization. 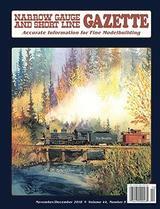 Donations of railroad books, magazine collections and funds are tax deductible and encouraged. 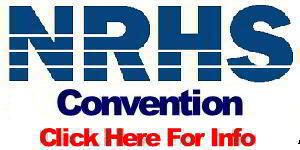 Please email info@aprhf.org for further information. 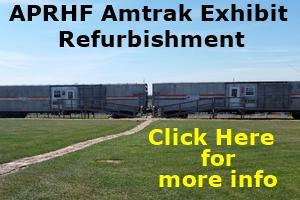 Live Broadcast on Dedication of the Silver Rails Memorial Library Dedication on Let's Talk Trains. Bob Manning reads the Dedication for Richard Hamilton. Kelly Marshall reads the Dedication for Harold & Hilda Marshall. Click on any photo above for a larger image. CLICK HERE for Next Segment of this report.